Julian Assange, The Washington Post, Apr 11, 2017. The Central Intelligence Agency’s current director, Mike Pompeo, has a view of history much like that of any bureaucrat as understood by the great sociologist Max Weber. The essential, fundamental purpose of bureaucracy is a rationale to manufacture and keep secrets. Transparency and accountability are its enemies. Those who challenge that particular order are, by definition, defilers and dangerous contrarians. 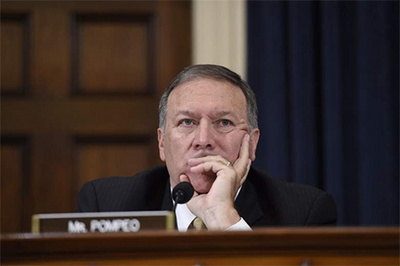 On Thursday, April 13, Pompeo was entertained by the Centre for Strategic and International Studies, an opportunity of sorts to sound off on a range of points. Pompeo’s theme is unmistakeable, opening up with a discussion about Philip Agee’s “advocacy” as a founding member of CounterSpy, which called in 1973 for the outing of CIA undercover operatives. This is the language of fear about the fifth columnist, that WikiLeaks is mimicking the CIA, even surpassing it. (Such flattery!) The organisation “encouraged its followers to find jobs at the CIA in order to obtain intelligence.” Gravely, claims the CIA director, “It directed Chelsea Manning in her theft of specific secret information.” Never mind what that information actually revealed. These words are hardly going to fluster Assange, though they have provided the main front man of WikiLeaks food for thought about what individuals like Pompeo really think about democratic virtue, given the continuous insistence by US officials that they keep the sacred flame of liberty alive the world over. The very defender of the US Republic is willing to ignore a fundamental feature of that Republic’s existence: the need for public debate about the limits of power. Assange is aware of this, noting how the “American idea”, or the United States as “idea” throbs within his mind and body. It is precisely that idea that needs conservation, even purification. What Pompeo is really bothered about is how similar the intelligence goal is for an organisation charged with the task of dealing in secrets, be it their theft and exposure, or their protection. What matters in such information environments, and notably the one so currently crowded by a noisy battle between digital rabblerousers and orthodox followers of the closed society, is where they fit in holding the powerful accountable. All positions ultimately turn on matters of power and how information is best wielded. The modus operandi is significant here: the exposure of truths deemed inconvenient, complicating, disrupting. Reduced to that dimension, Pompeo’s supposedly patriotic bile seems one of simple objection, an age old struggle between those who wish to know, and those who prefer to keep ignorance central to the argument. The ever tantalisingly relevant point remains: Who is so entitled? Dr. Binoy Kampmark was a Commonwealth Scholar at Selwyn College, Cambridge and lectures at RMIT University, Melbourne. Indeed, in the era of post-truth and alternative facts, the overarching issue becomes whether or not we still believe in such thing as truth or have we subverted the whole apparatus of Western Philosophy. Plato must be turning in his grave.